Dozens of central Iowa girls will be climbing into the cockpits of airplanes and helicopters today as part of Girls in Aviation Day. 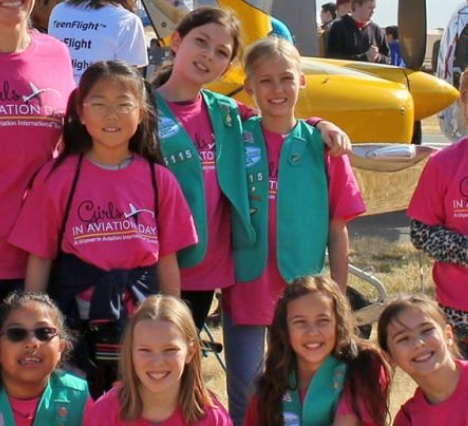 Sara Arnold, a pilot and the president of the Heartland Chapter of Women in Aviation, says they’re targeting girls between the ages of eight and 16, but everyone is welcome to visit and learn more about the industry. Arnold is the airport operations supervisor at the Des Moines International Airport, and while she holds a pilot’s license, she says she just flies for her own enjoyment, not as a profession. Careers in aviation are wide-ranging and also include: engineers, astronauts, air traffic controllers, mechanics and the TSA. The event runs from 9 AM to 3 PM at the Aviation Technology Academy School in Des Moines.